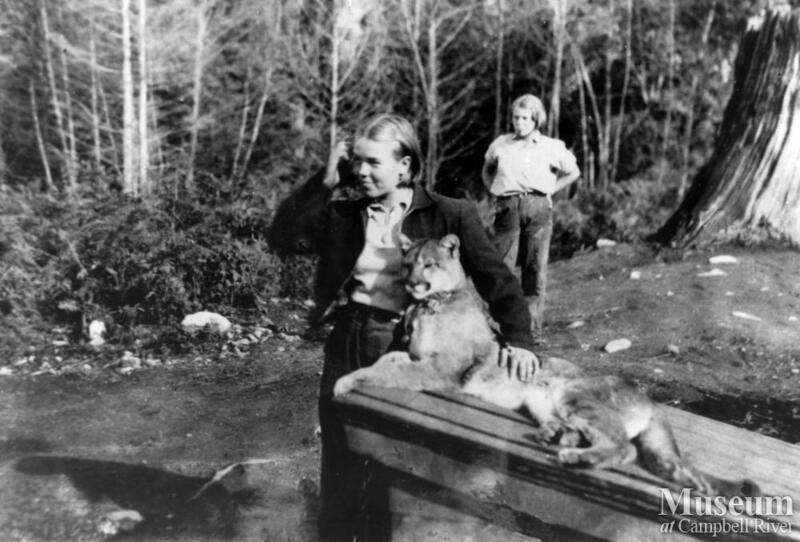 Marion Schnarr with cougar, Girlie. Pearl Schnarr is in the background. 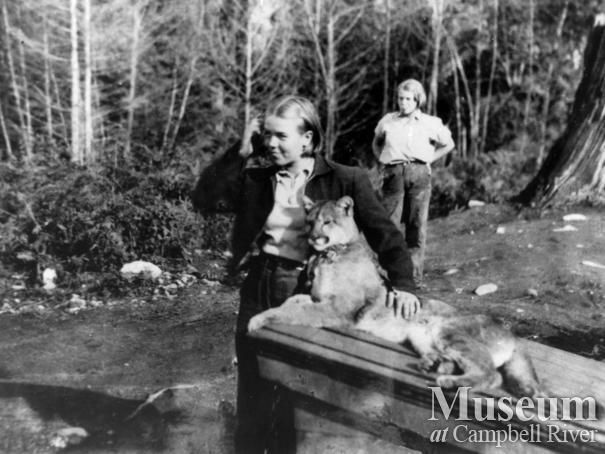 Photograph taken near the Schnarr homestead at Owen Bay.